Decisions are made in context. They typically involve a problem definition, a decision maker and a feedback loop on action taken. The concept of ‘informed’ decisions is linked to (though distinctly different) the concept of ‘better’ decisions in business. Making sense of business analytics: having all the right data and information to assess the situation and make sense of the required decision before making it is critical. It is important but not always sufficient as people sometimes decide to ignore data and go with their gut feeling to make decisions ignoring the analytical information. Exercising judgement: what conclusions can be deducted from the information available, where does the information come from, how accurate is it, etc. It is important to have clear idea of how people judge an effective decision. 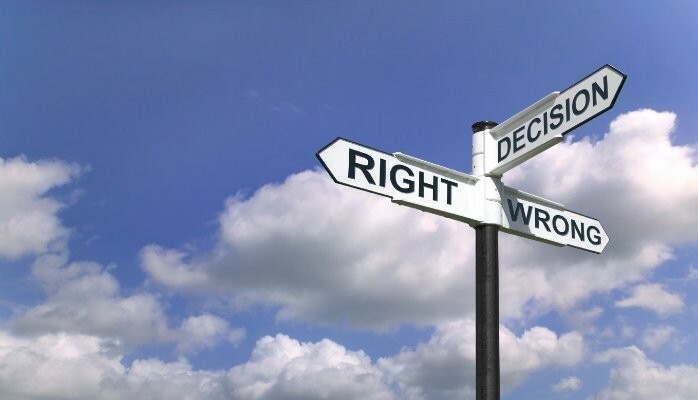 A combination of tacit knowledge, intuition, experience, analytical / rational-thinking and mental assessment influence the way decisions are made and also the decisions themselves. Understanding human decision making: they can be grouped in 3 perspectives, rational, psychological and social. Social and cultural factors affect which actions are seen as legitimate. As people make decisions in organizations it is common to be concerned not just with economic outcomes but also with ‘legitimacy‘: How will this decision be seen by X? Does this fit the way things are done around here? What would happen if the press got hold of this? Etc. Social pressures affect decision making (coercive, mimetic, normative pressures). expected magnitude of a gain or loss, combined with some probability distribution of anticipated outcomes. Identifying and mitigating risks: what risks relate to human psychology, such as fear or control factor. Also social construction plays a role in quantifying risks and dealing with the unknown. Nowadays data is everywhere and widely accessible through connected devices, systems and databases – whether they are locally accessible or through cloud solutions. While not necessarily complex in isolation, complex consolidated data structures exist in context of specific business processed or functional views (big data, large volume, dependencies, downstream feeds, etc.). IT tools are required to enable data searches and data mining so that it can be presented intelligently (clear source, data owners, trends, patterns, KPIs, thresholds and narrative) in order to contribute to factually-based decision making. Business as usual PMO often play a vital role in defining and policing the gathering of the required data, converting data into information, and helping with its effective consumption by management. Product Life-cycle Management (PLM) and other ERP solutions manage this data and are used to report on what matters to the business. Many want to get away from reports and only use live data-fed dashboards which are a true reflection of a product or business status. Dashboards cannot lie or be ‘manipulated‘ in Excel or other ‘hidden factories‘. Dashboards are created once and used many times (ideally, like the data that they consume) by retrieving data directly from its source or from controlled views (acknowledging its accuracy, its history, its update frequency, etc.). Advanced analytics will also require lean(er) data architecture (e.g. ‘single source of truth‘), models that balance complexity with ease of use, considering prediction and optimization, combined with updated fit-for-purpose processes and relevant capabilities (i.e. making good use of PLM). Data is translated into information, and (over time) knowledge and insight (by people). Better business analytics are essential to better decision making; PLM solutions (should) provide reliable and traceable dashboards to support the decision making process. People make decisions; their experience, insight and contextual understanding are used in the decision making process as much as data; they might still knowingly ignore the information presented to them, use their own views or follow their intuitions to make informed decisions. This post was originally published on LinkedIn on 18 May 2015.